Innovation name: A word or a phrase that concisely describe the innovative idea. Intent: Purpose to solve a particular need. Context: A historical background about identification of the need and motivation for such innovation. Applicability: Describes some common situation attributes, where we can apply this innovation. Accessories: A list of required tools, softwares, hardwares, etc. Implementation: Step by step guide to implement the solutions. Related solutions: Sometimes the related solution, may be more complex. Read this funny article "Process Improvement - Good Story"
Sometimes, I will mention about my ideas, where I need your inputs to manifest it. The implementation steps are vague. So fasten your seatbelt to explore and also to contribute for some innovations at our own blog, “Express YourSelf!” and also at a new blog, E-Science Center. Any comments/suggestions are welcome. Guruji Sri Sri Ravishankarji mentioned several times to read Bhagavad Gita. We can find many article at his blog: Wisdom from Sri Sri Ravishankar. He suggested to read Bhagavad Gita on Janmashtami celebration. Recently, on 15th January 2011 at Mumbai Maha-Satsang, He suggested to complete Bhagavad Gita reading in a month. We find many versions of Bhagavad Gita. Guruji suggested to read a simple version, with just translation in your native language. We Indians should not loose our cultural root. One can opt for free email subscription for Bhagavad Gita. Daily one verse with simple meaning and pronunciation. I thought to apply technology so everyone read Bhagavad Gita in a month. The first thing, I could think is a dedicated blog, with 30 articles, that contains Bhagavad Gita and its translation in Hindi and English. I found online version from Gita Press. Before I start a new blog, I just Googled about it, and found, many blogs, and other resources about Bhagavad Gita. So I dropped idea to add one more “me too” kind of blog. This article is about various resources, I found on Bhagavad Gita. These are beautiful collections of Bhagavad Gita related pictures. 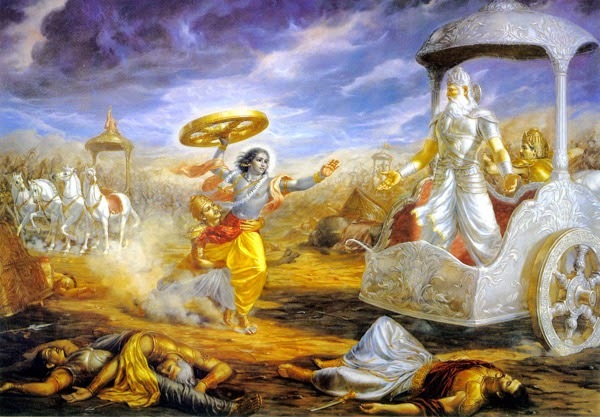 I found few blogs on Bhagavad Gita. Few of them are not active, at present. The New Bhagavad Gita : Timeless wisdom in the language of our time. Chapter-wise Audio of Mool Slokas (Original Verses) of Bhagavad Gita sung by Anuradha Paudwal. Click here too. Sanskrit, Hindi, English, Gujarati, Spanish, Arabic and French. English Bhagavad Gita on YouTube. Click here too. Bhagavad Gita: A New Translation by Stephen Mitchell (Three Rivers Press). The Bhagavad Gita : A Walkthrough for Westerners by Jack Hawley (New World Library). At the end let me summarize the content of Bhagavad Gita from Yahoo Answers! Bhagavad Gita is a concise guide to Hindu theology and also as a practical, self-contained guide to life. It represents a summary of the Vedantic and Upanishadic teachings, it is also called "Veda of the Vedas" and "the Upanishad of the Upanishads". Krishna counsels Arjuna on the greater idea of dharma, or universal harmony and duty. Krishna expounds the various Yoga processes and understanding of the true nature of the universe. Krishna describes the yogic paths of devotional service, action as a selfless service to mankind, meditation and knowledge. Fundamentally, the Bhagavad Gita proposes that true enlightenment comes from growing beyond identification with the temporal ego, the 'False Self', the ephemeral world, so that one identifies with the truth of the immortal self, the absolute soul or Atman. Through detachment from the material sense of ego, the Yogi, or follower of a particular path of Yoga, is able to transcend his/her illusory mortality and attachment to the material world and enter the realm of the Supreme. The Gita addresses the discord between the senses and the intuition of cosmic order. It speaks of the Yoga of equanimity, a detached outlook. The term Yoga covers a wide range of meanings, but in the context of the Bhagavad Gita, describes a unified outlook, serenity of mind, skill in action and the ability to stay attuned to the glory of the Self (Atman) and the Supreme Being (Bhagavan). According to Krishna, the root of all suffering and discord is the agitation of the mind caused by selfish desire. The only way to douse the flame of desire is by simultaneously stilling the mind through self-discipline and engaging oneself in a higher form of activity. 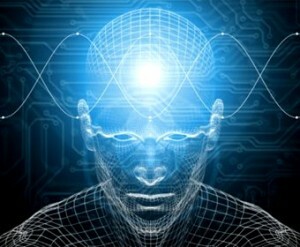 Jnana Yoga or Self Transcending Knowledge. I hope, you will find this collection of URLs (website links) useful. I am sure, you will start reading and implementing this philosophy of Srimad Bhagavad Gita.